Bahria Town is one of the most celebrated real estate developers in the country, having introduced new standards of living and state-art-of-the-art construction benchmarks in the realty sector. Though the developer caters to the investment and accommodation needs of both local and overseas Pakistanis, it has always taken particular care of Pakistanis living abroad by setting aside a separate enclave or block in its developments. We are all well aware of the fact that Bahria Town’s Overseas Enclaves in Lahore and Rawalpindi have proven to be huge successes, and now the developer has announced a similar development in Bahria Town Karachi. 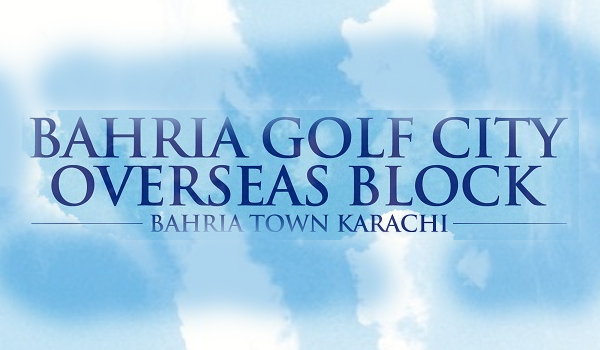 Mr Malik Riaz Hussain, the man behind Bahria Town, has recently announced the launch of Bahria Golf City Overseas Block in a press conference held in London. He said the Overseas Block was launched after the remarkable response received by Bahria Golf City and the demand of overseas Pakistanis for a dedicated block in Bahria Town Karachi. Act now if you are an overseas Pakistani who wants to have a beautiful home in a comfortable setting in Pakistan, because the number of units available in Overseas Block is limited. Good Luck!